When it comes to the ‘best’ lenses for wildlife photography, the build and image quality of super telephoto primes is unsurpassed. All of us have seen (and probably been envious of) those monster 400-600mm prime lenses, they are absolutely amazing. There are downsides, however, the major ones being weight and cost. Cost will always be an issue but, what if I told you that engineers have found a way to create a super telephoto lens that weighs as much as a 70-200mm lens. Well, that’s exactly what Nikon did with their latest release, the AF-S NIKKOR 500mm f/5.6E PF ED VR. The lens is available for preorder at $3,596.95. That’s a fraction of the cost of Nikon’s 500mm f/4.0G ED VR, which will run you about $10,000. Early impressions and reviews indicate that the NIKKOR 500mm f/5.6E PF ED VR is an incredible lens, and one that should be on your radar if you are a Nikon shooter. More info here – https://www.nikonusa.com/en/nikon-products/product/camera-lenses/af-s-nikkor-500mm-f%252f5.6e-pf-ed-vr.html. The PF (Phrase Fresnel) lens was designed by Nikon and compensates chromatic aberration by utilizing the photo diffraction phenomenon. In simple terms, this allows lens designers to create lenses with fewer elements. The result is a lens that is optically excellent, while extremely lightweight. 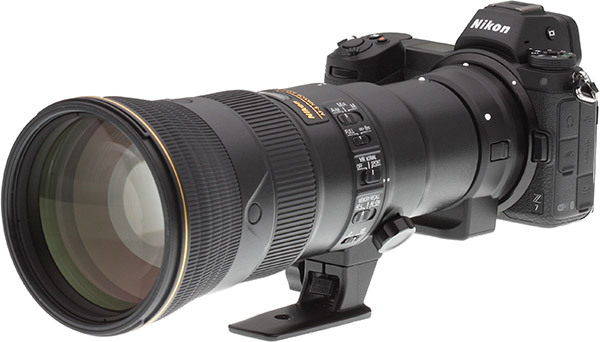 Nikon first introduced PF to the market with their AF-S 300mm f/4E PF ED in 2015. That lens has excellent reviews and the new 500mm f/5.6E PF ED VR follows in its path. The 500mm PF lens weighs in at 1460g…compare that to the Nikon 500mm f/4 ED VR at 3090g. Build quality is excellent, this is a professional grade lens and it has the build of prime lenses that cost thousands more. The lens comes with a detachable tripod collar, but this lens can easily be handheld. 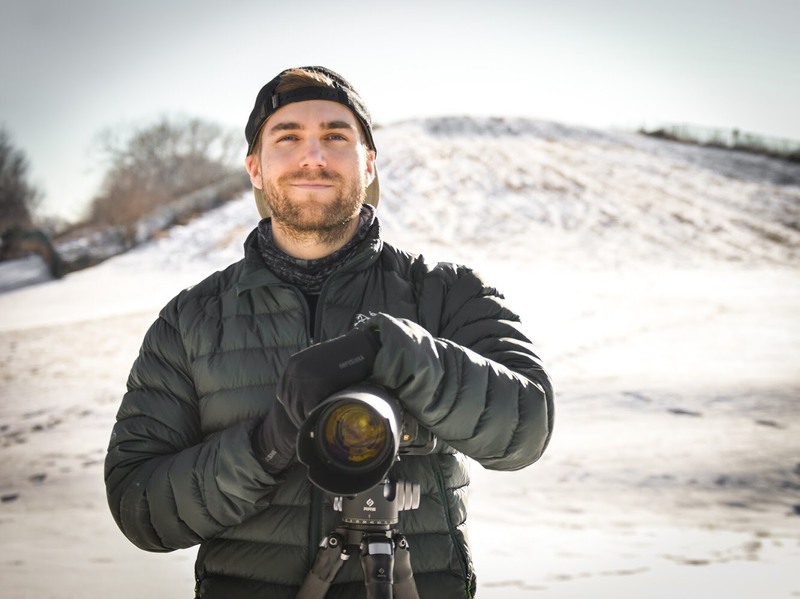 For wildlife photographers, that could be a huge plus. Handholding most super primes is out of the question if you’re after the best possible image quality, this lens seems to change that. Its weight combined with an exceptional 4-stop image stabilization system will allow photographers to handhold in many situations. Think about that, handholding a 500mm prime lens…amazing. The AF-S 500mm f/5.6E PF ED VR’s new design might make it a very lightweight lens, but were there sacrifices in image quality? The answer is no. Optically, this is one of Nikon’s best. Sharpness and contrast are outstanding, even wide open at f/5.6. The bokeh of this lens is very nice, and vignetting isn’t noticeable across all apertures. The maximum aperture of f/5.6 might worry some, but the benefits of this lens outweigh the loss in one stop. Image quality is excellent and this is the only super prime tele at 500mm that you can actually handhold. Oftentimes, that could be the difference between getting the shot or missing the shot. The focusing system is great. Lens elements in the focusing group are lighter, which makes autofocus very fast, and quiet. This is definitely one of Nikon’s fastest focusing lenses. Overall, this is a professional grade lens in every sense of the word. Wildlife shooters are going to be very happy with this lens. The AF-S NIKKOR 500mm f/5.6E PF ED VR weighs 1,460g and has a maximum diameter of 106 mm and length of 237 mm, making it significantly smaller than other 500mm lenses on the market. That alone warrants this lens to be seriously looked at by wildlife photographers. Now, combine the weight with excellent image quality and build, and you have a lens that could really make a big splash. It’s available for pre-order now and should begin to ship soon. Although much cheaper than other 500mm primes, it still has a hefty price tag. Thus, I recommend potentially renting the lens first and seeing how it fits in with your current setup. We are in an exciting time when it comes to camera technology. Cameras and lenses are becoming more lightweight and innovations are allowing for some really cool technology. Nikon’s 300mm and 500mm are great examples…I’m excited to see what’s next.